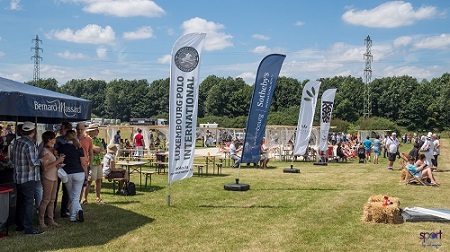 Dressed up in high heels and skirts, slacks and polos, or just regular jeans and t-shirts, families and friends gathered together to watch the 4th Luxembourg Polo International Tournament. 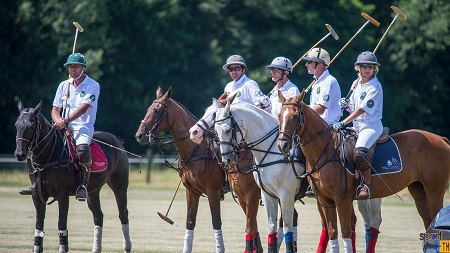 The tournament events lasted over the course of four days, in which six adult and two kid's teams competed against each other for the championship cup with players from Luxembourg, Germany, France, The Netherlands, Belgium, Argentina, and Chile. 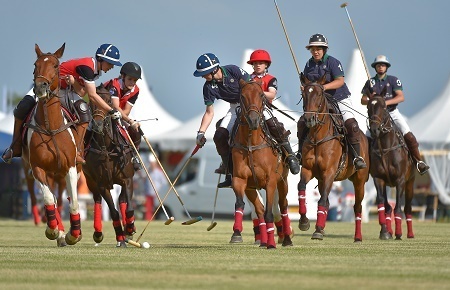 Polo is a team sport played on horseback. Each team consists of four players who try and score goals against the opposing team by hitting a wooden or plastic ball with a long-handled mallet. 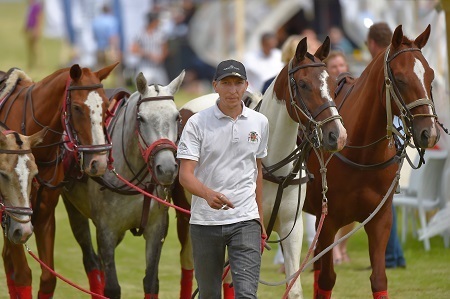 One game or match lasts approximately 1 ½ to 2 hours and is subsequently divided into periods called chukkers. The game is played on a 300 yard long by 160 yard wide field, and after a goal is scored the team switches ends of the field. When teams are formed they are categorized by the level of skill of the individual players. This is known as a handicap, and the sum of the four player's handicaps becomes the team handicap. Handicaps can range from -2 to 10 and are determined by a formal professional committee or national federation. Equipment for the players consists of balls, helmets, knee guards, mallets, protective ware like gloves, face-masks, eye wear, elbow pads, or mouth guards. Whereas equipment for the horses consists of leg wraps, which protect the legs from injury as well as provide support, bridles, saddles, saddle pads, and other pieces as preferred by the rider. 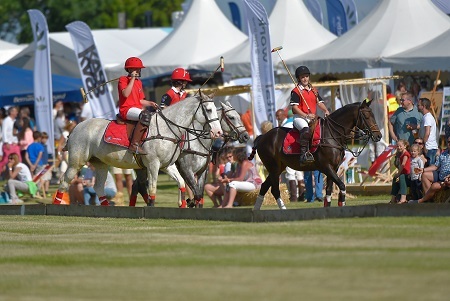 The "Polo Pony", a term used for polo horses, and rider, are a team and together should be in the best condition in order to perform in the most efficient manner. 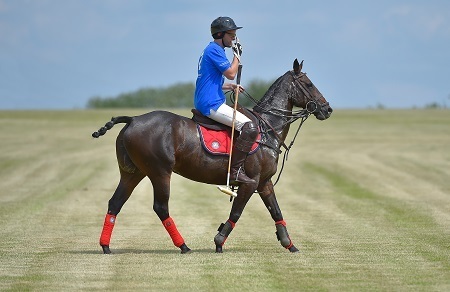 The horses must be full sized, agile, in good health and stature, and proficiently trained in the game of polo. During the game the horses are required to endure a lot of sprinting, turns, abrupt stops, and more which is very taxing on their physique. This is why players change horses throughout the game and sometimes during the same chukker. The horses must be properly groomed prior to participating in a game. 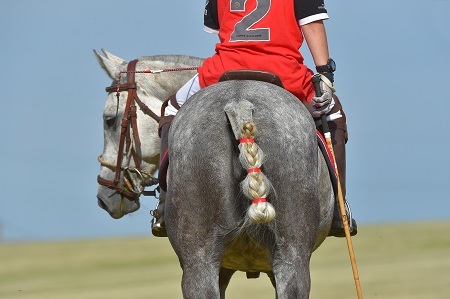 Manes and tails must be kept out of the way so that they do not get caught in the player's mallets or reins. Founded in 2004, Alexander Ludorf, Vice President of the board, explained that the PCL was established for three main reasons. The first was to create an organization where people could play professional polo. 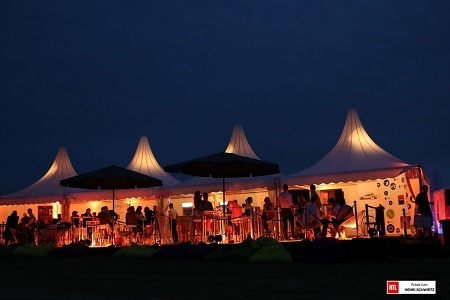 The second was to create an inviting atmosphere where friends could gather and network. 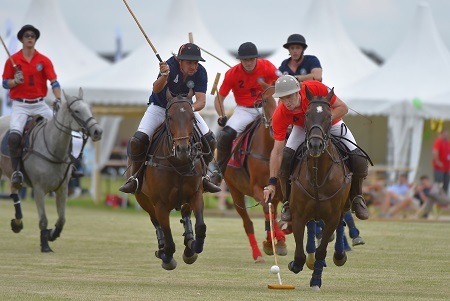 The third was to show Luxembourg what Polo is all about. Although the club is relatively young, the PCL has been successful in attracting new members and sponsors. The club welcomes beginners, kids, and professionals, and has horses available for use for those who do not yet own their own. The club now has grown to incorporate approximately 150 members, two polo fields, 40+ polo horses, a polo trainer and regular courses.